We recently talked a bit about the importance of note taking when studying in our recent post, How to Create Your Own Study Skills Curriculum. This really got us thinking about the various note taking methods available, which then got us wondering if one method was better than another or if a method was deemed to be the best. After a bit of research we noticed a trend as the Cornell note taking method continually popped up in our searches. This encouraged us to take our research a step further and into the tangled web of internet forums to see what others may think about this method. It didn’t take long to see that students and professionals alike did indeed seem to favor the Cornell note taking method above all others. The questions then became “Is the Cornell note taking template really the best?” and “Why?” Well, let’s take an in-depth look at this method and find out! Before we decide whether or not the Cornell note taking template is really the best method out there, we need to first learn a bit about it. 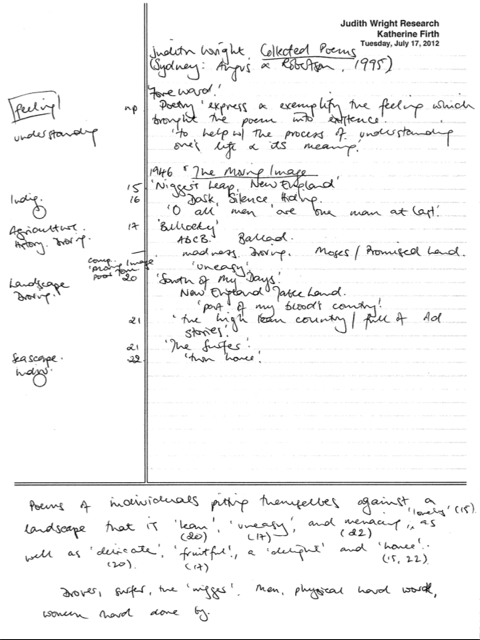 The Cornell note taking template was developed in the 1950’s by Walter Pauk a professor of education at Cornell University. Professor Pauk has made it his mission to provide anyone in need of study skills some pretty invaluable tools during the course of his career as the author of How to Study In College and through all of his work as the reading and study center director at Cornell. Well, at first glance, it certainly seems like fans of the Cornell note taking template are onto something. This is especially apparent when you factor in the praise heaped upon Pauk and the fact that it is still a favorite among students and professionals some 60 years (give or take) later. It’s still too soon for us to decide if this template is really the best. So, let’s take our in-depth look a step further by checking out how this note taking template and method works as we inch closer to the answer to our burning question! For starters, it’s is important to mention that the actual template used when taking notes is quite a bit different than the standard piece of paper or word document most of us are use to scribbling the notes we will need to review later. Instead of simply jotting down your notes on the entire piece of paper you will actually draw a line towards the left side of it with about 2 ½ to 3 inches of space in the margin created. You’ll use this section for a very specific purpose, so don’t start doodle in it. Professor Pauk dubbed this margin the “cue column”. Now you can draw a line roughly 2 inches from the bottom. This line can either intersect through the left hand margin or begin from its 2 ½ to 3 inch starting space. The choice is yours as it largely depends on how much and how big you intend to write in this space. This space is where you’ll summarize your notes, which we’ll call “summary row” since Pauk didn’t give it a name. The last step to making your Cornell note taking template is essentially already completed as the remaining space on your paper is where the meat of your notes will go. The 6 inch wide portion of remaining space is called the”note taking column” for somewhat obvious reasons. Super, you’ve created the template on your paper. What now? This is where the actual work begins as we put the template to work and try to finally decide whether or not it’s really the best. So, how the heck does this system works? The template by itself is useful, but not really much to write home about as it sits on your page waiting for you to fill it in. Here’s where the actual Cornell note taking method comes into play as an integral part of what makes the template so great. Recording: It’s super important to write or type all of the main topics and important details that are covered during your lecture or meeting. These detailed notes will be entered into the note taking column for you to reference later when it’s time to buckle down for a study session. Reducing: You can pull out important keywords or topics by reducing the amount of extra information that is of less importance. This reduced info will be entered into the cue column and will serve as a buzzer reminding you to pay special attention to the corresponding data in the note taking column. Reciting: Here you will go a step beyond merely reading and understanding the notes you have taken. You’re going to test the amount of information you actually retained and your note taking ability. Recite the information you’ve written down as if you were teaching someone who has no prior knowledge of the topic or as if you were tasked with telling your professor or boss everything that they taught you. Reviewing: One of the best ways to get the information within your notes to stick around for easy recall is by simply reviewing your notes. Take 10-20 minutes each day to review everything you’ve entered into your template. You can re-read it or re-write it if you’d like. Any form of reviewing your notes will work wonders and you’ll soon see the amount of information you’re able to retain increase, which sets you up for success when the time comes to apply it. There you have it, Peeps! That’s all there is to the Cornell note taking template and note taking method. Now we can circle back around to the original question: Is the Cornell Note Taking Template Really the Best? The answer is simple: No, the Cornell note taking template is not the best. However, it absolutely is an awesome tool that you should definitely utilize while taking notes, especially when you’re expected to recreate the material covered and apply it in some way to something. To clarify, we’re not being mean to dear Professor Pauk by any means. The template and note taking method are great and there are many advantages. Some notable advantages are how easy it is to stay organized while taking notes, time can be saved by using the template and the formatting is super easy to implement. There are, however, a few disadvantages that can crop up when using the template and note taking method that can’t be ignored. The most notable disadvantage was discovered during the Wichita State University study we mentioned earlier. Through this study it was determined that students who were tasked with recalling information within their notes had better results when using an alternate note taking method/template compared to those using the Cornell method. Naturally, the results of this study have a lot to do with why we decided that the Cornell note taking template isn’t really the best of the best. After all, something can’t really be the best if it isn’t consistent across the board as the best method for all note takers or all types of notes taken. So, we’ve actually come to the conclusion that there really isn’t a best note taking template or method. Instead, there are many great options with each having its own advantages and disadvantages. One method may be best for one person or type of notes taken and may not cut the cake for someone else and their notes. T he best piece of advice we can give you here is simple. Ready for it? Here it is: Try different methods to see what fits your note taking style and the material you’re covering and don’t be afraid to switch things up if you need to. At the end of the day, all that matters is that you have a system that works for you and the goal you’re trying to achieve with your notes. Do what you need to do to make your notes work for you. Outlining Method: The outlining method to note taking reminds us a lot of what an outline for an essay or even the table of contents in a text book look like. You’ll basically write/type your main points which will be followed by corresponding bullet points beneath that pertain to the main heading and add to the idea as a whole. It’s a rather effective way to keep your notes and thoughts organized on paper. Mapping Method: The mapping method is very similar to a method of brainstorming that you may use for essays or to keep your thoughts organized for a project or presentation. You’ll write your main idea in a circle, square or triangle in the center or at the top of your paper. Next, you will attach branches of corresponding thoughts or ideas from your main concept. These new branches can then serve as additional sub-points with their own branches continuing relevant ideas that ultimately have something to do with the main idea. We think of this method kind of like a thinking tree. Charting Method: You will indeed make yourself a handy dandy little chart when using this method to take notes. Each column on your chart will need to be labeled with topics covered during your note taking, key words or important phrases. This method allows you to write less, but it can be tricky to learn and slightly more time consuming as a result. Sentence Method: You’ll be able to take out all of the guess work with the sentence method of note taking since everything you write will be in true blue sentence form. This is certainly a more time consuming way to take notes and you may miss a piece of important information as a result. We’ve found this method to be most useful in when used as a secondary means of getting the notes on paper. Great tips. Everyone has their own way of revising, I’ve tried pretty much every memory technique available but recently I’ve been uploading all my digital notes onto mem-note.com to help me remember it – it really is working. The Wichita State “study” is pretty bare bones. It pits two study methods against each other: guided notes and Cornell notes. It included three tests by two 29-student sophomore English classes. The conclusion was that guided notes may be more effective for recall and basic comprehension but Cornell notes seem more effective for synthesis, application, or evaluation — answering higher-level questions. Since most teachers I’ve ever had do not go to the bother of creating guided notes, this method is practically useless. Most real-world notetaking is up to the student, in which case Cornell notes are likely to yield good results if the 5-Rs are followed. Also, you say: “That’s all there is to the Cornell note taking template and note taking method.” But you barely covered the “summary” area of the page, which is where the “teaching someone who has no prior knowledge of the topic” is appropriate. I just thought it strange to answer your thesis question based on the anemic Wichita State study, especially without quoting more of the study’s conclusions.